Republican Assemblyman Ira Hansen chats outside the state Assembly on June 5th, 2017. Assemblyman Ira Hansen and his wife Alexis Hansen celebrated their 37th wedding anniversary on Wednesday not with traditional gifts of alabaster but by announcing their respective candidacies for state Senate and Assembly. That contrarian nature has also landed him in hot water, such as when he was ousted as the incoming Assembly speaker after it came to light that, as a newspaper columnist, he had made racist comments. He later apologized and said that the comments were taken out of context. Alexis Hansen, meanwhile, is a co-owner of Hansen & Sons Plumbing, former vice president of the Sparks Republican Women and a mother of eight and grandmother of 15 with her high school sweetheart. She describes herself as having “political tendencies” and an active interest in campaigns, and, though she previously debated running for school board, this will be her first bid for public office. The assemblyman was initially interested in Gustavson’s seat in 2010, but the two lawmakers made an agreement that Gustavson would run for Senate and Hansen could run for his vacant Assembly seat. When there were rumblings earlier this year that the assemblyman might challenge Gustavson in a Republican primary, the two talked and agreed to sort it out after the legislative session. Hansen said when the rumor started circulating he went and talked to Gustavson, laughed and agreed to talk about the senator’s plans for the future when the session was over. “I would not have run against Don,” he said. But when Gustavson, who also served in the Assembly for 10 years, announced late last month that he would not seek reelection, he said that Hansen was one of the first to know. Still, although Gustavson said he’s not aware of any other Republicans interested in throwing the hat in the ring, he doesn’t plan to endorse anyone until he sees who all the candidates are. Asked whether the caucus would support Hansen with Gustavson retiring, Roberson was more measured in a statement Wednesday. But the Senate Republican Caucus did not wait until the filing deadline in 2015. They endorsed Sen. Heidi Gansert in mid-September 2015 after she announced her bid and gave the nod to Carrie Buck, who was challenging Democratic Sen. Joyce Woodhouse, in mid-October 2015. But Hansen said that he isn’t worried about talking to leadership and getting the support of the Senate Republican Caucus and is instead focusing on his own district. Though he hasn’t heard about anyone else being interested in running for the seat, Hansen said it wouldn’t surprise him if the moderates in the Senate recruited someone to run against him. If there is a competitive race in either district, the primary will likely be the toughest fight as both districts are solidly red and the Republican candidate should have a smooth path to victory in the general election. 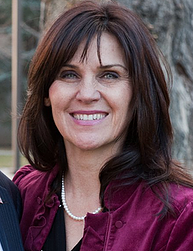 Ira Hansen won the 2014 general election with 72 percent support and coasted to victory unopposed in 2016; Gustavson won the 2010 election with 58 percent support and 2014 with 70 percent. The Assembly district is nested inside of the Senate district, with both covering vast portions of the state including all of Esmeralda, Humboldt, Lander, Mineral and Pershing counties and parts of Washoe and Nye counties. Ira Hansen said that his wife will do a much better job than him at getting along with people while advocating for conservative values. Alexis Hansen said the largely rural Assembly district is a good fit for her — though she’s a city girl, she said, she has a passion for the rurals. Her Nevada roots date back to the 1890s when her great-grandfather was the sheriff of Lincoln County and her grandfather was the superintendent of mines. Her father was also the youngest county clerk elected in Lincoln County and went on to be the district attorney in Esmeralda and Eureka county for 30 years. She listed education as one of her top issues, saying she’s “sorely disappointed” that the state’s stalled Education Savings Accounts program wasn’t funded during the 2017 session. She also said she supports less taxes, more individual responsibility and less government and opposes abortion. If elected, she would be at least the sixth Nevada assemblywoman to succeed her spouse in office. Five assemblywomen were appointed to their husbands’ seats upon their illness, resignation or death. Two of them, Assemblywomen Dawn Gibbons and Geraldine Tyson, were later elected in their own right. Assemblywoman Karen Hayes campaigned for her husband’s old Assembly seat in 1974 without being appointed to the seat after he was appointed to the District Court. Republican Assembly Leader Paul Anderson, who has often butted heads with Hansen, declined to comment about whether the caucus would endorse Alexis Hansen for the District 32 seat, saying it was too early in the election process.